Have you recently inherited a property? Or were you moving house and couldn’t find a buyer so you decided to keep hold of your former home? Or perhaps you have moved in with your partner and now find yourself becoming an unexpected landlord. Many people will see it as a huge bonus to have a property that gives you extra income and that go up in value over the years. But the reality for some is it’s anything but plain sailing and for those who never thought of being a landlord are suddenly dropped into a minefield of lettings legislation and tax liabilities and can even be fined for not letting a property legally or safely. There are over 150 laws that govern the lettings industry and if you don’t know what they are, you could easily - and completely unintentionally - break them. But ignorance is no excuse, so you’ll need to (a) find out what your obligations are and (b) be prepared to have to spend some money on works to make sure the property can be legally let. Quite apart from potentially breaking the law, if you don’t have the right health and safety procedures, you could be putting your tenants in danger. On top of that, if you’re not used to handling financial investments, you probably don’t have much idea about the most tax-efficient way to own an investment property and take additional income. That means you might not be filing correct tax returns and could end up with large bills in the future. There’s also the risk that if you don’t know about the costs associated with running a Buy to Let and haven’t budgeted ahead, you may even find yourself struggling financially on an ongoing basis. So here are the most important things for you to do to make sure this unexpected rental property you’re now responsible for enhances your finances and doesn’t land you in hot water with the local authority. As soon as you know you’re going to own a property that you intend to rent out, take some financial advice from property experts. They can advise you of the best way to own the property and take profits, both in terms of rental income and equity. You should also take some legal advice on ownership, particularly if you’ve inherited a property that you’d like to pass on to children or other family. It’s very important that the property is correctly mortgaged. If it used to be your home and you had a mortgage on it, you’ll need to let your lender know that the situation has changed so they can move you over to a buy to let mortgage. You cannot have a standard residential mortgage on a property that isn’t your primary residence. The best way to move forward is to speak to a specialist mortgage broker who can look at the mortgage that’s currently on the property, then check the whole market to find the best deal for your new circumstances, which may mean switching lender. Even if the property is mortgage free, it’s a good idea to take financial advice to find out if it might be worth taking out a mortgage and releasing some equity. If the rental income you can achieve is several times any mortgage payment, you might be able to make the capital work better for you elsewhere. Some people believe all agents ‘are the same’ and their fees are an unnecessary expense. In fact, the opposite is often true - as long as you choose the right agent as the cost of their services should not only represent good value for money, but is also tax deductible. A responsible letting and managing agent will hold membership of a professional industry body, such as ARLA (as we do) or RICS. That means we’re properly trained and qualified, abide by a code of conduct and protect your money through Client Money Protection insurance. Importantly, we have the ongoing support of ARLA to keep us up to date with the latest legislation and help make sure our landlords’ properties are always legally let to the highest industry standards. Of course, it’s possible for you to let and manage a property yourself. But with new rules coming in all the time and the law soon due to change so that all agents must be regulated, it’s becoming increasingly risky for owners of more than property to attempt to handle everything themselves. And when you consider how much time and money you’d have to spend learning and keeping up with your legal obligations, when you’re probably already working in a full-time job, it really is worth paying professionals, who can take most of the legal and administrative responsibility off your hands. The other important thing a letting agent does is get you the right tenant. If you try to let the property yourself, you might not get the best market rent or even be aware of how to properly reference the tenant. That means you could be missing out on a much more suitable tenant, more rental income and a more successful let. A good agent should also be happy to go through all the costs associated with owning a Buy to Let. If you come and speak to us, one of the team can help you put together an accurate budget so you’re not hit by unexpected bills and can properly plan ahead for periodical works that will be required. 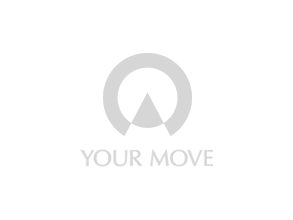 If you’ve just become a new landlord, or know that you will be soon, and you’d like some more advice, just call into your local Your Move branch and one of the team will be happy to speak with you. How much is your new property worth? Find out with an instant valuation now!